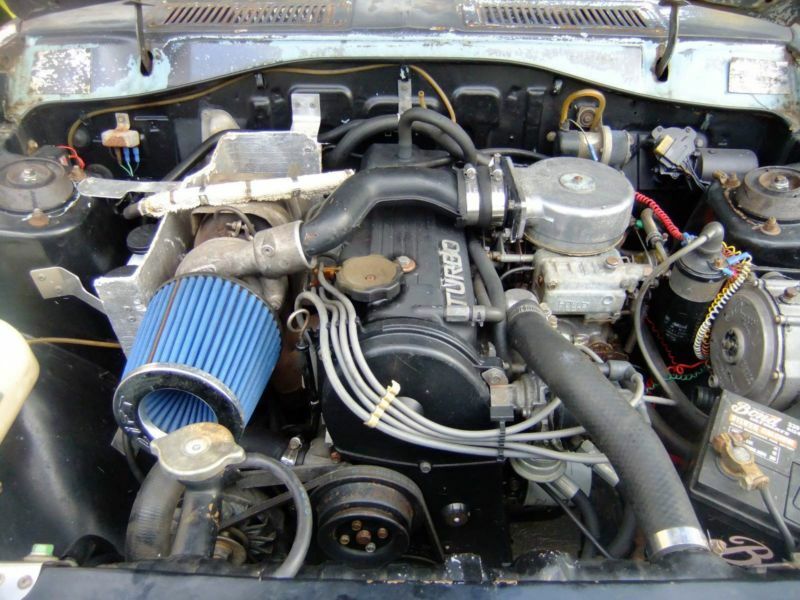 1 Best engine -- the A12? 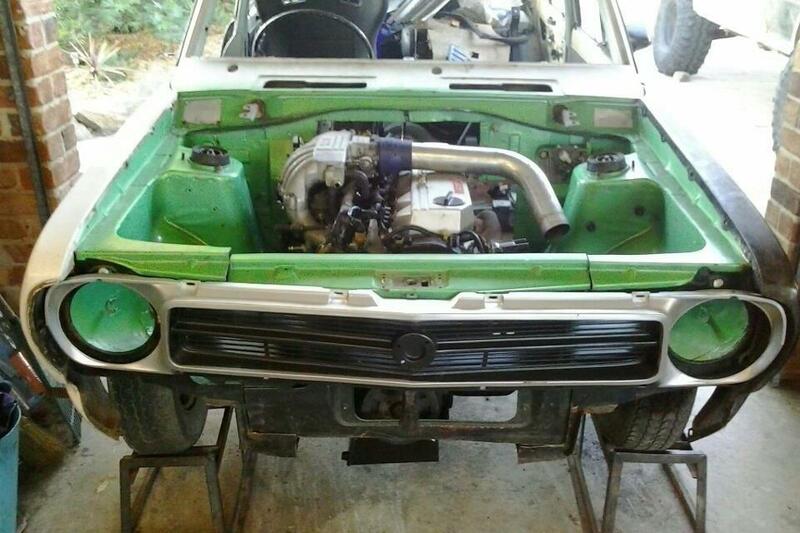 2 Should I build up my A12, or just get a bigger engine? 3.2 What's Better? A14 or A15? 10 I'm in Australia. Are there limits to what engine size I can use? 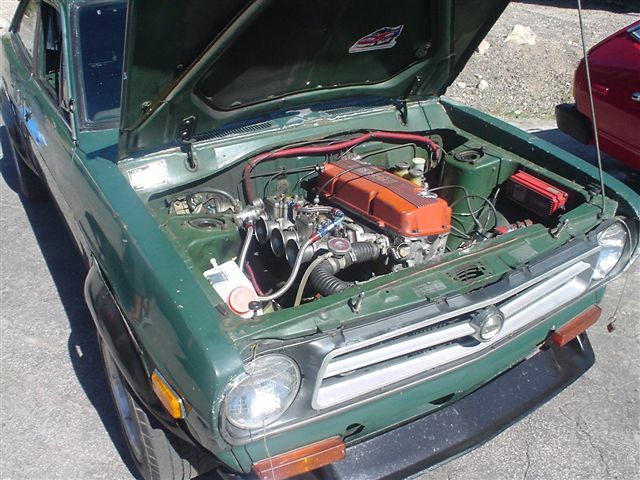 Best engine -- the A12? There is no "best" engine, unless popularity counts for anything. 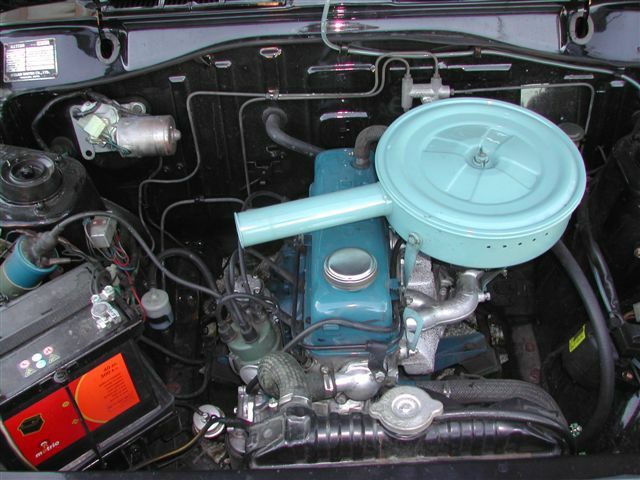 Millions of vehicles were produced with the A12 engine, making it the most successful. 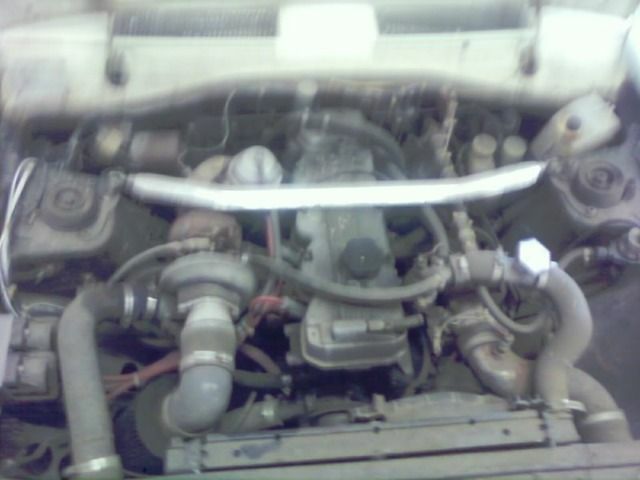 Plus, the 1971-1973 A12 simply fits into the B110 engine compartment by design of Nissan factory experts. And it is the most reliable and fuel-efficient engine in stock condition. 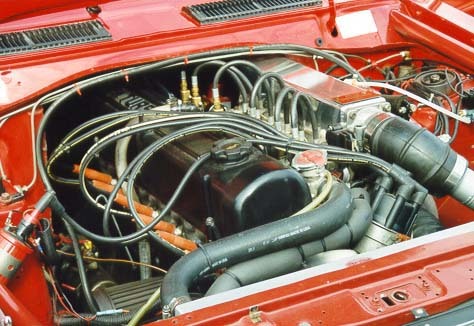 A special hi-power version of the A12 is the A12GX Engine. 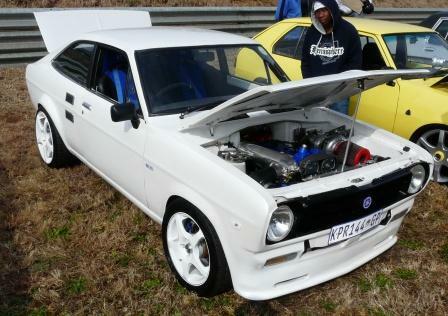 These came in Japan and South Africa Datsun 1200 GX models. 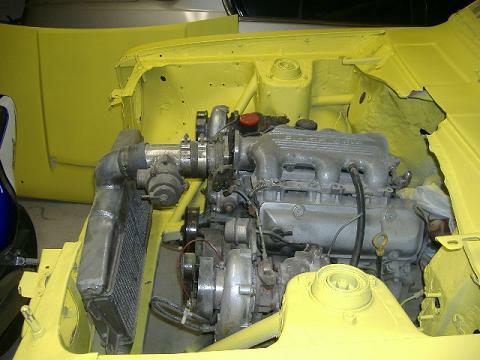 Should I build up my A12, or just get a bigger engine? Building up your A12 can be quite fun and very educational. However, it will generally be more expensive than getting a larger engine. You could easily spend $2500-$4000 USD building up the A12. 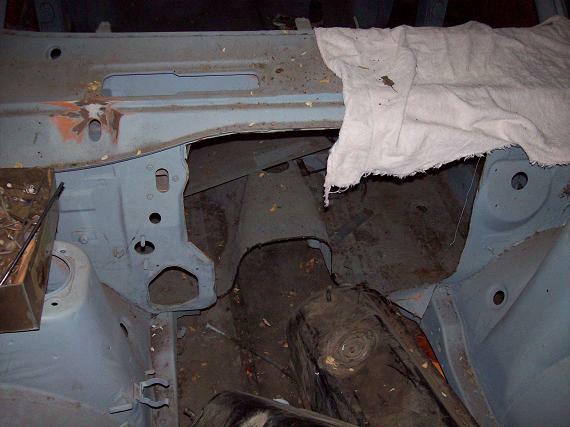 Also it will generally mean time that the car is not driveable, while an A14 engine swap can be done in a weekend. On the other hand, if you find used parts, you could keep the cost down. Even adding a turbo is inexpensive if you do all the work yourself. Paying to have a shop do it usually costs around $2500-$4500 USD. So what kind of performance increase can you expect? For $2500, you could drop from the stock 20-sec 1/4 time down to 17 seconds. That will make the car feel twice as fast. See discussion. 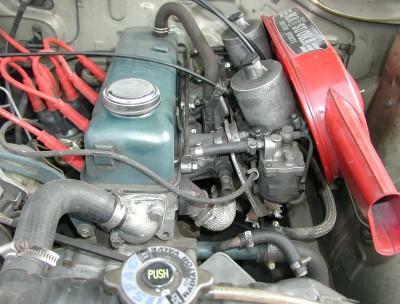 Similar engines in the Nissan A-type series are the 1974-and-up A12, A13, A14, A15 and A12A. 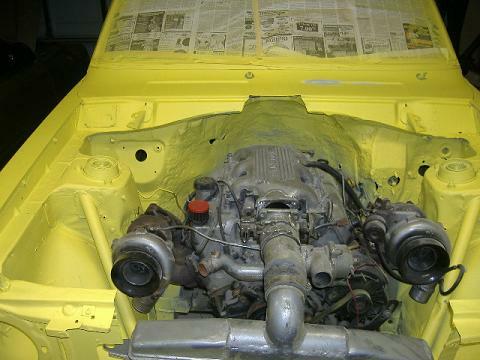 All fit in the 1200 with only minor changes. These are by far the most popular swapping candidates, since they just about slide right in. Other pluses of the A-series are: light weight, smooth running, and availability of racing parts. These are all excellent engines, but the bigger displacement of the A14 and A15 means more power/torque than the A12, A13 or A12A. What's Better? A14 or A15? It depends on what you mean by 'better'. 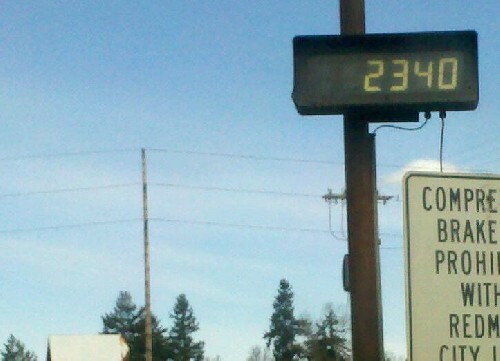 Better fuel economy? Better acceleration? A14 often have better availability, meaning you can more often find one at an inexpensive price. Racing class rules may allow a 1400cc engine while disallowing larger engines. In this case the A14 will be preferred by racers. Even though the A15 would be faster, they are not allowed to use it in that particular class. A15 can give better fuel economy when paired with low-ratio diff final drive, although this will reduce the performance/acceleration down to A14 levels. Remember: "There is no replacement for displacement"
But isn't the A15 stroke to long to rev high? If you drive an A15-powered car, you will see the tachometer rev up. No worries. A long stroke determines how fast wear occurs at a given RPM. 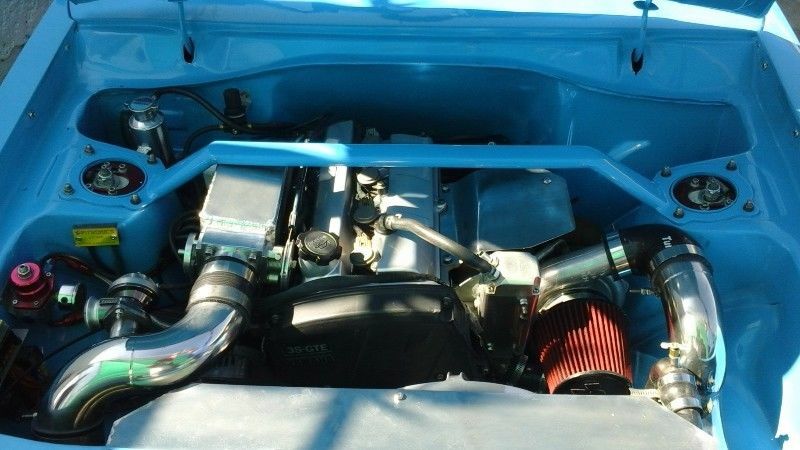 But compared to an even longer stroke Chevrolet small-block V8 running at 10,000 rpm, the A15 stroke looks small by comparison. A15s could rev even higher than 8,500 RPM, but just like the A14 would need special valve train modifications and for highest RPMs need a scavenging oil pump with dry sump to make it worthwhile. For A14s and A15s running the same cylinder head and valve train, maximum horsepower is for all practical purposes equal. All things being equal, with both the A14 and A15 using the same well-prepared and flowed cylinder head, they'll make the same top-end power. Doesn't the A15 have an inferior cylinder head? Not true. There is no A15-specific head, but all A15s use heads designed for the A14. Late A15s can come with a swirl-port head with reduced high-RPM power -- but that same head was used on A14s. Early A15s used either the early A14 oval-port head or the A14 round-port head. Yes, A15 comes in 80 hp verions and 67 hp versions. 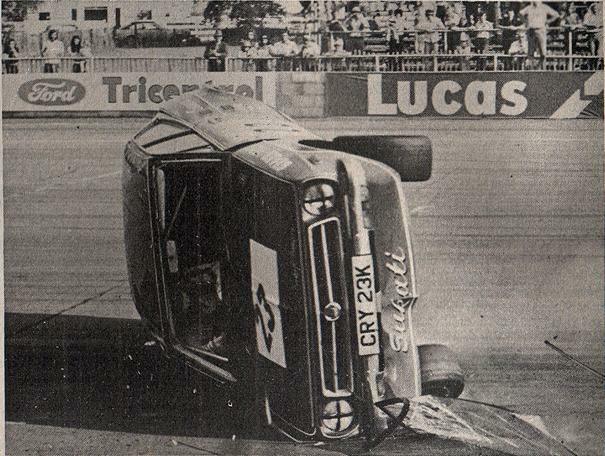 A14 came in 80 or 65 hp. The lo-power versions came with round port heads (or small-oval ports) and shorter-duration cams. So make sure you get the 80 hp version of the A15 (or swaps the cam & heads if you have a lo-power version). A long rod-length-to-stroke ratio is more efficient. To get this, you need longer rods to match a longer stroke. However, A14 and A15 use the same length rod, which puts the A15 at a disadvantage. Or does it? From previous discussion, an optimal rod-to-stroke ratio is good for about 1% power. But either way the A15 is 7% larger displacement across the entire RPM range. I'll trade a 1% peak power disadvantage for a 7% general power advantage any day of the week. However, if class rules limit your engine CCs, then it may be worthwhile to have a long-stroke 1500cc engine vs a regular stroke 1500cc engine. Small advantages are what make winners in the racing game. Sometimes you just want a bigger engine -- after all, there's no replacement for displacement! Or maybe you come across an engine for free or at a very inexpensive price. * Discussion: A Series? L Series? or CA? 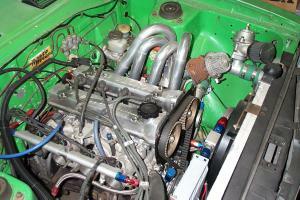 Following are some popular engine swap choices. 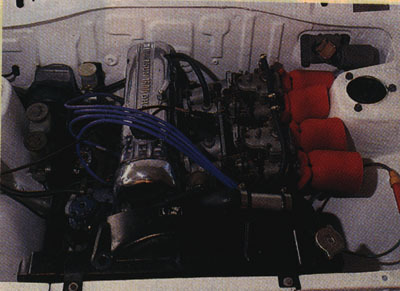 The Nissan L-series engine, as used in various Datsun/Nissan models e.g. L16, L18, L20B. NOTE: The L20B is taller though so not commonly used, but it will fit under the hood. Nissan put the L14 in the Japan-only Datsun PB110. 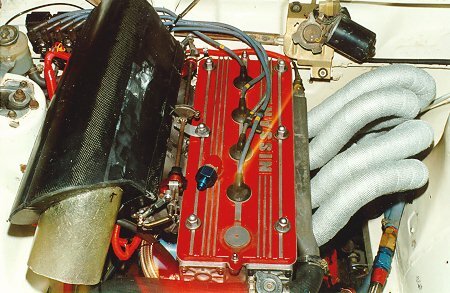 A super-rare racing engine was the LZ20 twin-cam, fitted to 1200 racing cars. These crossflow-headed four cylinder engines are based on the L-series. All install into a 1200 more or less the same way as the L-series. Z22 2.2 liter from S110 "200SX"
The nice thing about the Z18ET, is it's a factory turbo setup, legal to swap into a 1200 (with engineer's certificate/mod plate) in most Australian states. The downsides: How available is it? How available are rebuild/performance parts? E15, E15ET, or E16 OHC engines. These are plentiful in mid-80s Pulsars and Sentras, are the replacement to the A15 and have plenty of go-fast parts available. 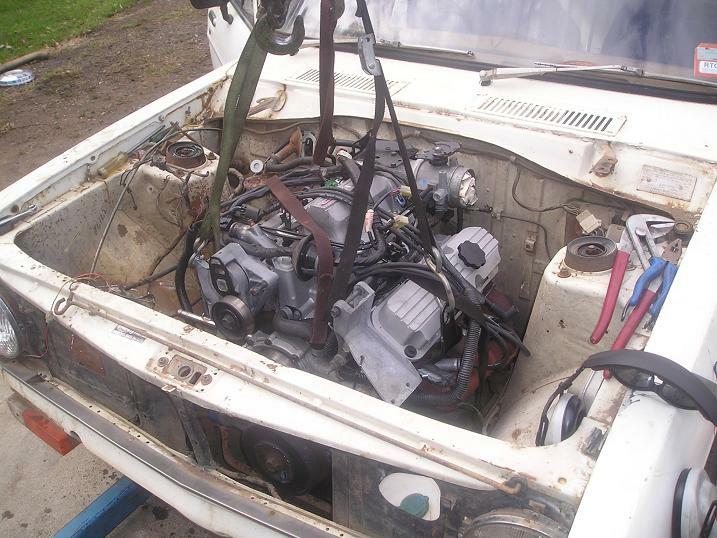 A common swap in the USA is the KA24 engine, this is a big one! at 2.4 liters. In many countries, it is readily available and inexpensive coming out of Nissan Navara/Hardbody pickups. The main downside is their weight -- as heavy as an L-series engine (the KA24 is based on the L-series engines). 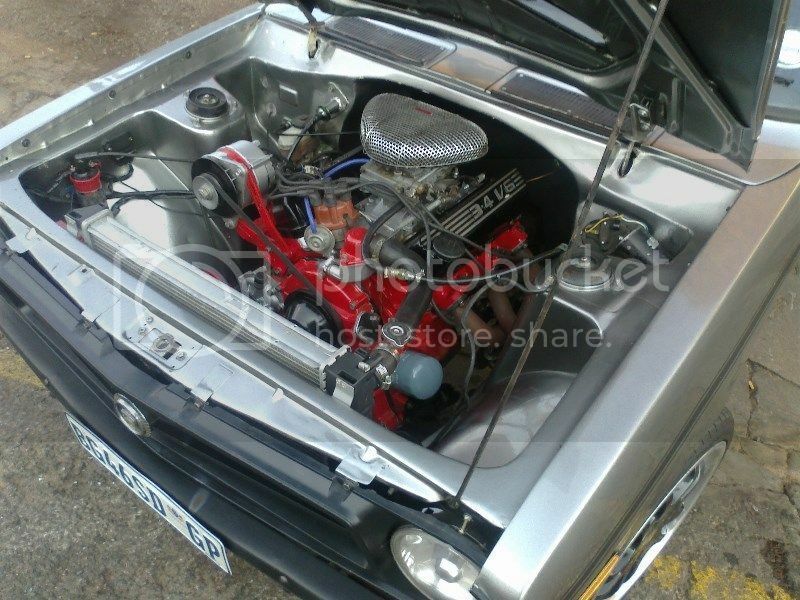 Club members have swapped this into their 1200s with good success, reporting 14.0 second 1/4s with a stock motor. 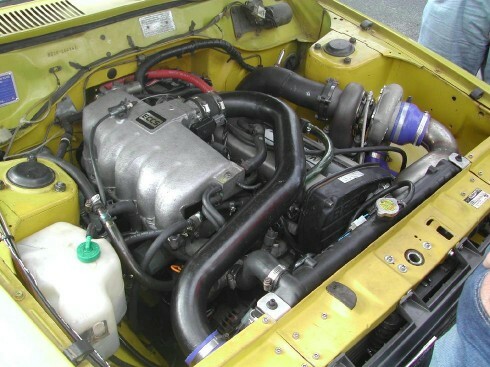 Reportedly, a stock KA24DE can handle a fair amount of turbocharger boost, but not as much and doesn't rev as high as the SR20DET or CA18DET. So it's a good engine for street use, but the SR or CA may be better for high-dollar supercar buildups. 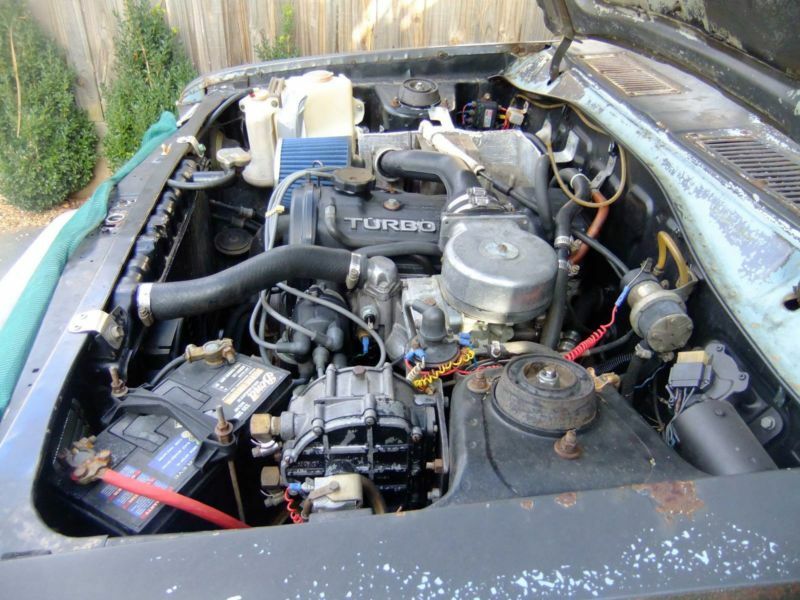 In Australia, this engine may exceed the displacement limitations for engine swaps into the B110/B120 in your state, so may not be able to be used on the road (check with your local transport authority). 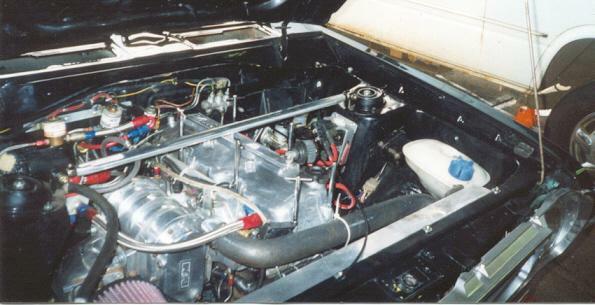 CA engines fit in the 1200's engine compartment like they were meant to go there. 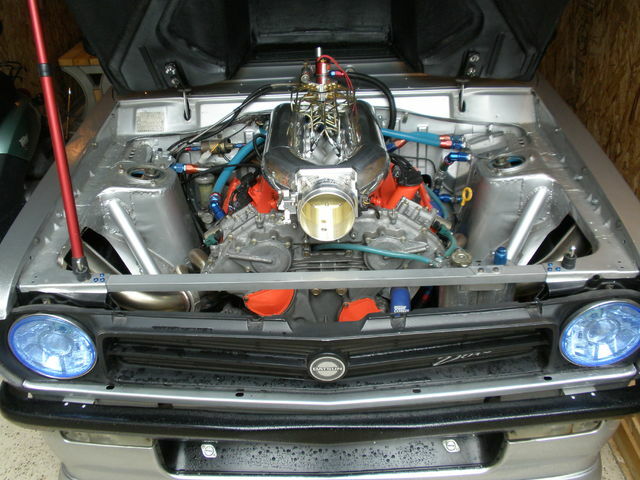 Many say the CA18DET is the very best engine for a Datsun 1200 swap. Excellent engine. High power potential. 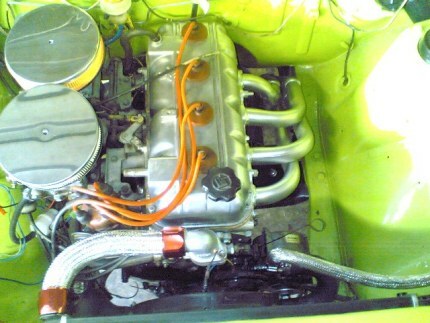 The Nissan CG series of small-bore engines are excellent 16-valve all-alloy designs, lighter than even the A12 engine. There are a heap of performance parts for the CG series. 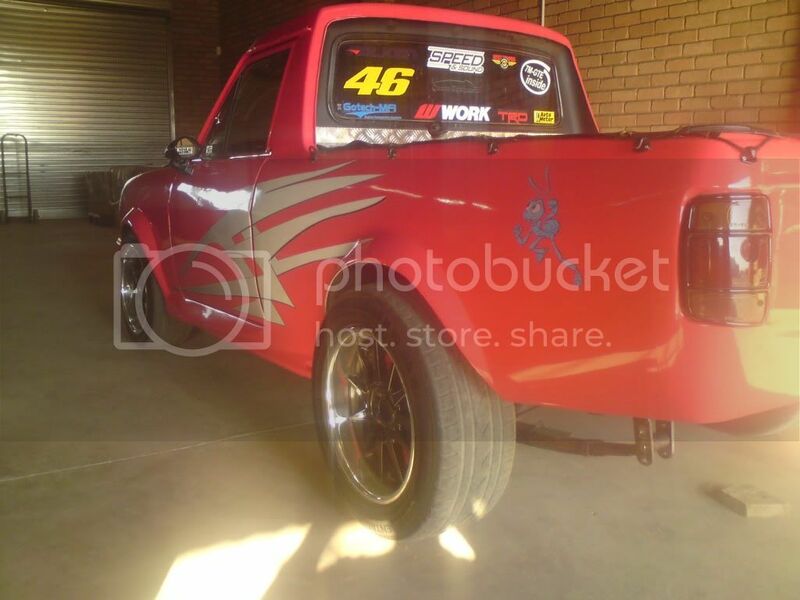 This conversion has been done in NZ for a 1200 race car so it is possible. A 1.4 liter version is available. 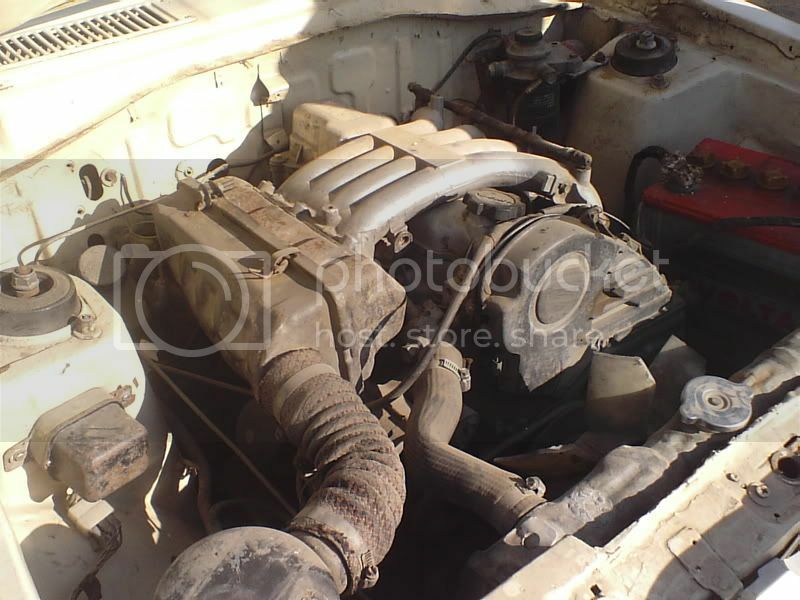 Very rare is the Nissan inline-6 L20, L24, L26 and L28 engines being swapped into 1200s. 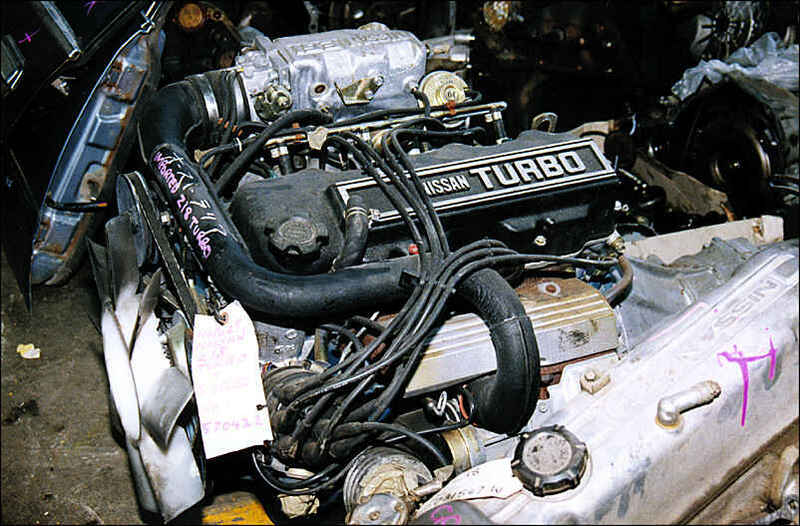 There are other common Nissan engines which are lighter and make more power. 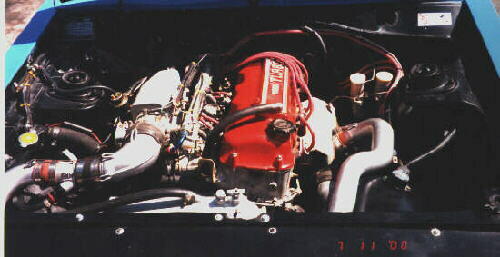 L-six requires major mods, chiefly involving engine setback and tunnel modifications. The advantage of these engines are that they are fairly lightweight (being four cylinder engines) and in stock form give much more power than the A-series engines. But it does take considerable craftsmanship to fit one in including the intercooler. How efficient are these engines? 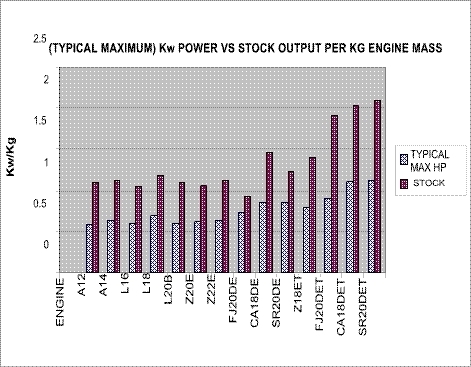 This chart shows that the FJ, CA and SR Turbo engines are twice as efficient than most engines in the matter of power/weight ratio. 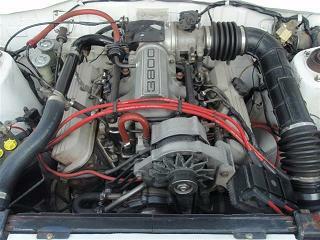 A 300 hp CA18DET (282 pounds) would weigh nearly half that of 300 hp GM V8 (500 pounds). Of course, the easiest way to go fast is: less weight, more power. These turbo fours deliver. There is a lot of information in the main forum on all aspects of the CA18DET swap. 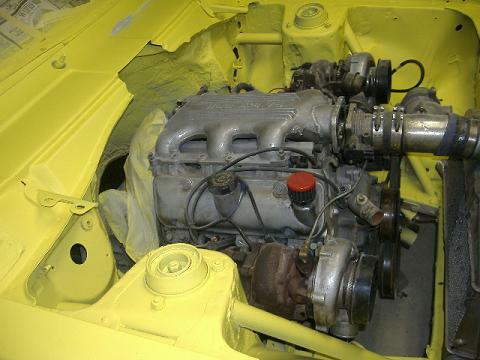 The SR20 can bolt-in without cutting the firewall, though it's easier with an originally automatic-equpped car (which has a bigger transmission tunnel). 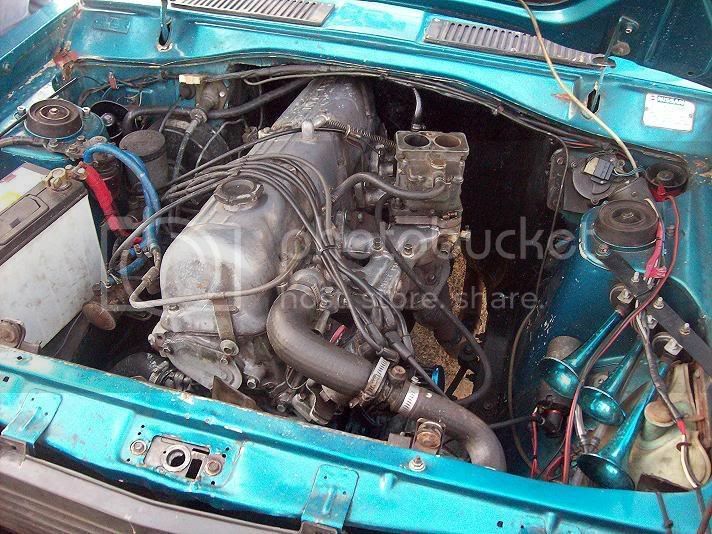 The FJ20DET engine was basically a detuned race engine, a bit heavy, but possibly Nissan's strongest ever engine. The stock engine can take massive boost and survive, while turning out incredible horsepower thanks to its 16-valve head. 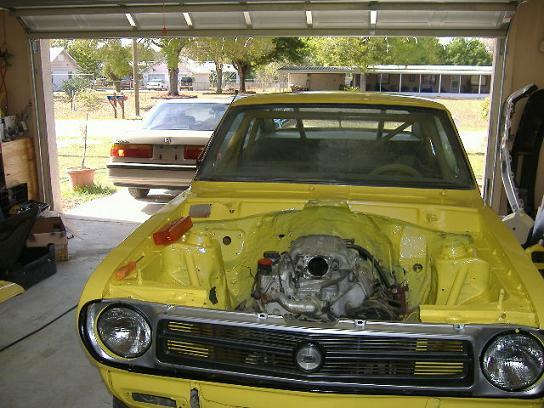 Yes, V6s and V8s can be swapped into Datsun 1200s (and have been! ), with increasing amounts of crafting and modification required. Your 1200 won't handle curvy roads too well with all that weight up front, but that's not the point of this, eh? Straight-six RB motors may be swapped into a 1200 by using engine setback. Even so, the engine must come forward as far as possible, with the fan removed from the engine and a pusher fan placed in front of the radiator. The following are not known to have been successfully completed. More information on any of these subjects can be found in the Forums. 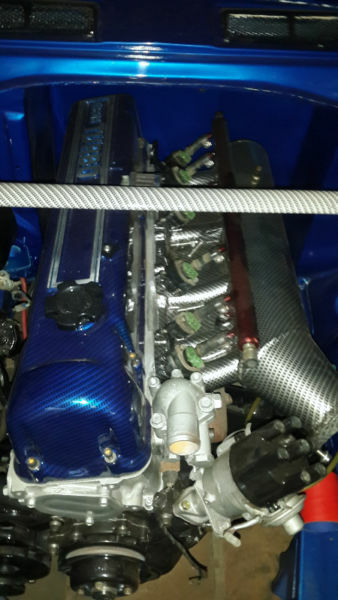 QR25DE 2.5 liter Nissan/Infiniti engine. Pluses: 13% lighter than SR20DE, 20% lighter than KA24DE. 30mm shorter than SR20, so possibly fitting the 1200 very well. It also has twin, counter-rotating balance shafts, so it should be a nice smooth engine. The drive-by-wire throttle body would eliminate the need for a throttle cable/linkage setup, though may be a tricky/expensive luxury. 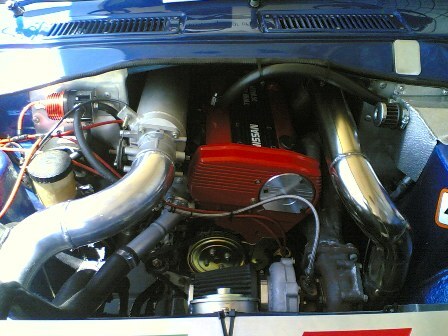 Mazda B6 DOHC head on A-engine. 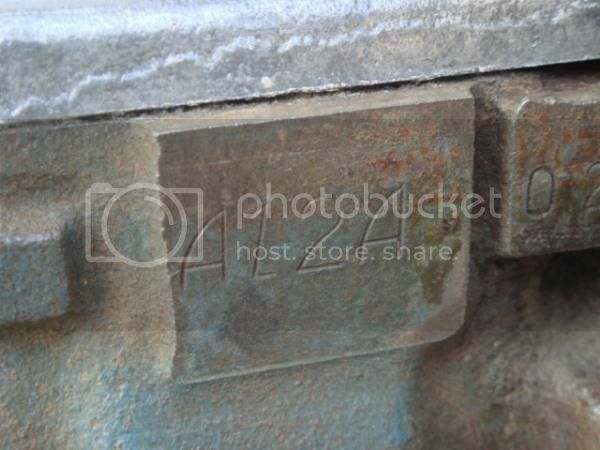 Head bolts on, but water and oil passages are different. 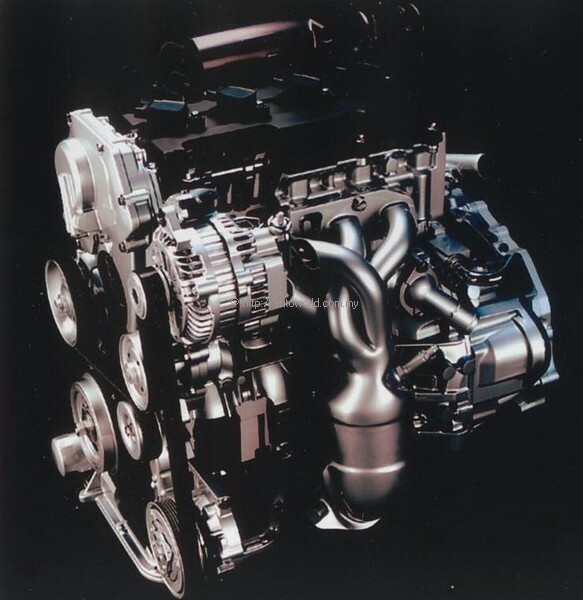 Nissan CR engine is an all-alloy 16-valve engine -- the modern A-series, with same displacements and general engine dimensions. CR14DE is the most powerful. The Nissan GA16 engine is somewhat similar to the A15. RWD transmissions are available from Asian and European markets. Though most (all?) have a distributor mounted at the transmission end of the cylinder head. 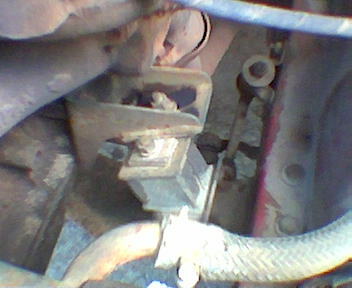 A crank trigger setup could be used to avoid putting a hole in the firewall to fit it. This engine is equipped with a simple variable cam timing (VCT) system which helps it produce 116HP. You could even convert it to use a carburetor or two, and using an ignition-only ECU, program it to power a relay to switch the VCT on/off at a certain rpm. HR16 replaced GA16, yet makes less HP. Suzuki G-series B engine is a lightweight, high-output, twin-cam four cylinder. 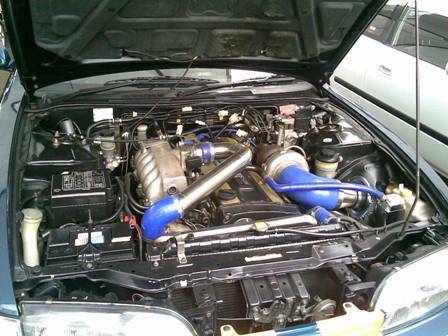 4G6 Mitsubishi Sirius engineᵂ. 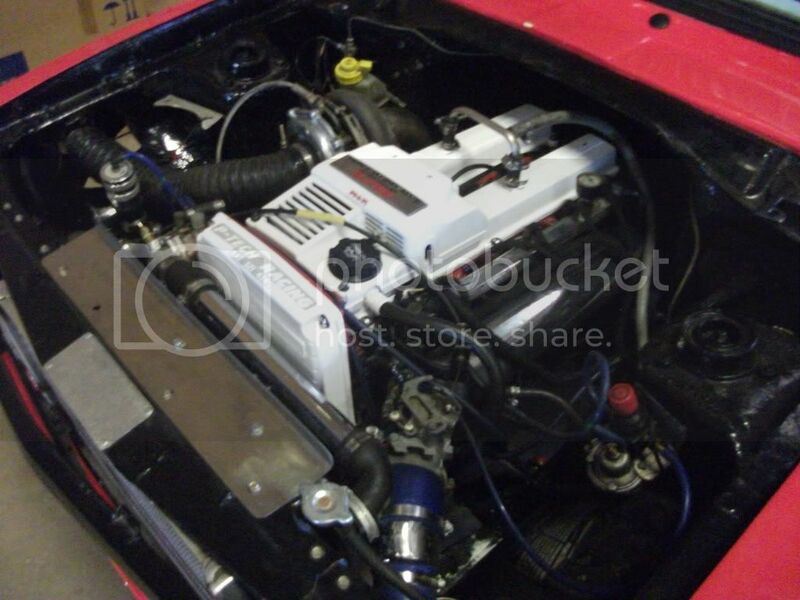 4G63 (2 liter) as fitted to Starion. 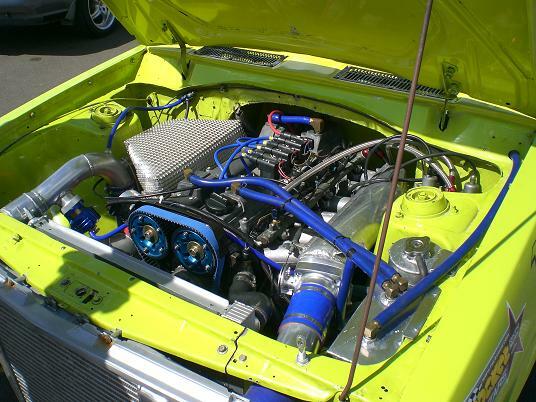 A Fiat DOHC engine powers one of the fastest Datsun 1200s on the planet. I'm in Australia. Are there limits to what engine size I can use? 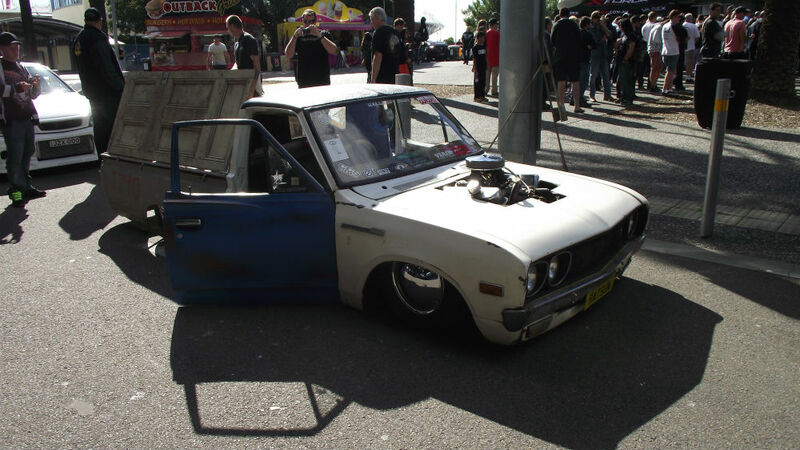 In Australia, engine swaps are regulated by government guidelines. 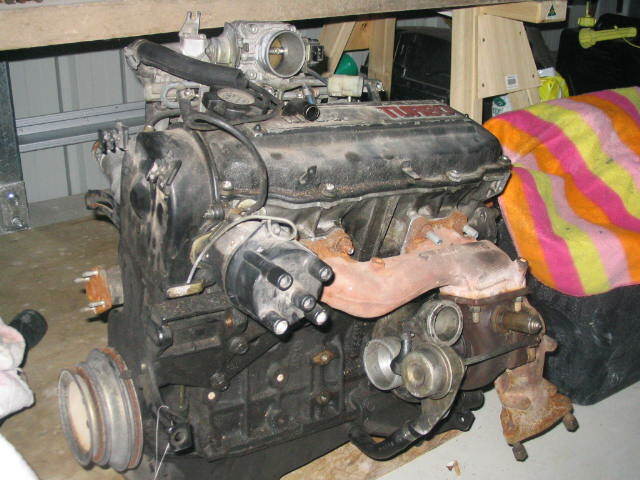 So what's the largest size engine you can swap into a 1200 in Australia? 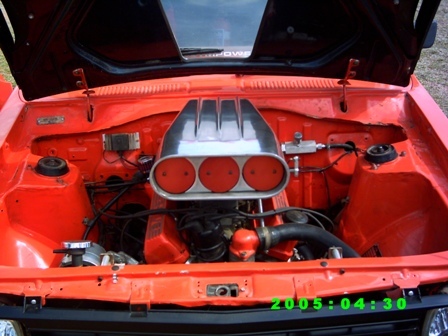 As per the NCOP (National Code Of Practice), engine size is limited according to the tare weight of the car. For the 1200, a 2.0 liter naturally aspirated engine, or a 1.8 liter turbo engine is allowed (hence the popularity of the CA18DET swap). An engineer must certify the installation following the Australian Design Rules (ADR's), so check with your local authorities before starting! 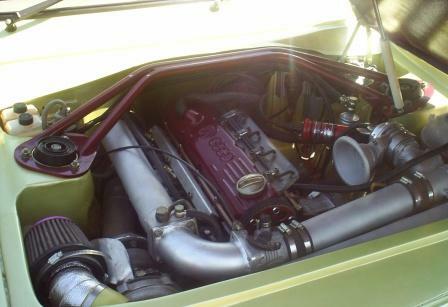 If you REALLY must have a street-legal V8-powered 1200 (or other engine outside the limitations of your state), it is possible as an ICV (Individually Constructed Vehicle), but very expensive to certify according to new-car Australia Design Rules. A12, A14 and A15 have been used in boats and as industrial engines. NOTE: Engine weights are measured different ways (with oil, without, etc), so take this with a grain of salt. Even more useful comparo would be the engine/trans combo weight. 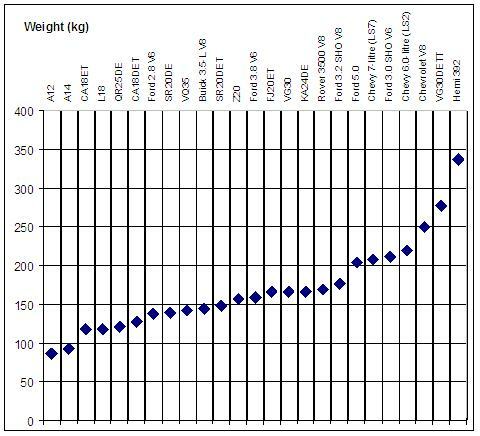 From this chart it may seem that a certain engine will only weigh a few kilos more, but add the weight of the matching transmission and it may be quite a lot more than the other engine/trans combo. The total weight will be way up because of heavier transmission, diff, brakes, etc.